As much as I wanted to have some thoughts on it, given how incredibly interesting it sounds, I can't. GOG's Linux team sent over a copy but I'm not quite sure what's going on with the GOG release at this point. It advertises Linux support yet it has no Linux download even though supposed to have one, so there's some kind of delay on GOG's side with it. Update: Now actually live on GOG too. The player judges criminals and counter-revolutionaries, but also innocent Parisians. The Judge has to peruse case files, study evidence, and interrogate the defendants in a way that ensures either justice… or the player’s profit. Each decision will have an impact on the factions in Paris, the player’s family, or the player themselves. The game will reward clever decision-making, allowing the player to – for example – outwit and defeat more powerful enemies. You can find it on Humble Store, GOG and Steam. 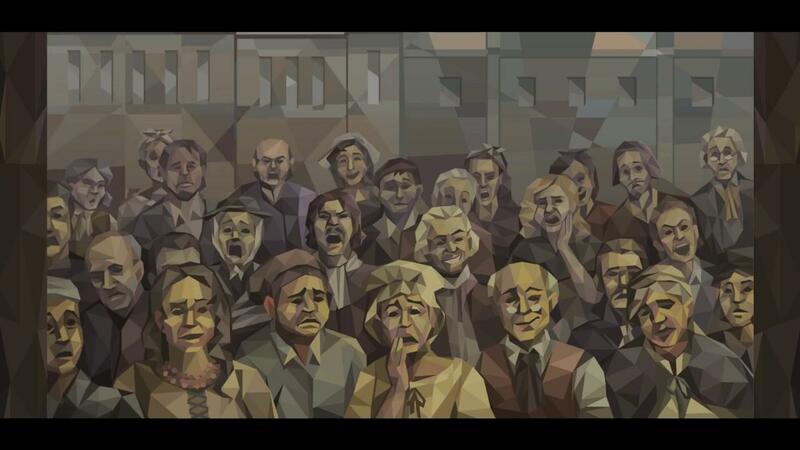 Could've been a game by Lucas Pope ("Papers, Please", "Return of the Obra Dinn") at first sight. Update: Linux build is finally up on GOG. If you would rather play a more arcadey, very simplified, super compressed version of 'judge people based on clues and determine their fate' then maybe check out Peace, Death! available on Steam for only 4.5€, Linux native, runs on even a rotten potato. It's like a Victorian Era take on "Papers, Please". Looks pretty cool, actually.